Hey! What's This Animal Doing in My Life Reading? So you’ve connected with your LifeReader psychic for a reading – maybe about your love life, work life or any number of life’s important questions. In the middle of a reading, the psychic says “a bald eagle just showed up” or a “snake” or a “tiger”. Well, this probably isn’t what you expected from your psychic reading, is it? This series of articles will explain why an animal may show up uninvited to your reading – the reasons are not always the same, nor is the nature of the animals involved. For our purposes, the categories are classified as “Spirit Animals”, “Animal Spirits” and “Animal Messengers”. This first article in the series is about Spirit Animals. Animals are an integral part of our spiritual world and our physical world. Throughout history in most cultures, animals have been looked upon as spiritual beings. Special animals called “Spirit Animals” are essentially spirit guides in animal form. Also called Power Animals, Spirit Animals help people in their daily lives by providing protection, guidance and healing. In the shamanic belief, everything is alive and carries with it power and wisdom; Spirit Animals are an essential component of shamanic practices. It is believed that everyone has Spirit Animals; some last a lifetime and others show up at different stages during a life. Each person can have more than one Spirit Animal at any given time. How do I benefit from a Spirit Animal? Each Spirit Animal has different characteristics and once a Spirit Animal has been identified in your life, it is helpful to know what those characteristics are commonly assumed to be. The Spirit Animal can also provide insight into your personality and/or specific areas that may need enlightening. Below is a small sampling of Spirit Animals along with some information about each. There are many definitions in the relevant literature; the information listed below is by no means all-inclusive. •Bald Eagle: If your Spirit Animal is identified as Bald Eagle, the Bald Eagle can help if you’re caught up in the little details of life and need to regain an understanding of the big picture. It can also help when you have to face a major challenge as a result of a life change. And as far as your personal characteristics, Bald Eagle may mean, among other things, that you’re spiritually evolved and a born leader, with people gravitating naturally to you. Or it may mean that you’re passionate and have a bit of a temper that needs to be watched. •Snake: If your Spirit Animal is identified as Snake, it often means you’re about to go through some significant personal changes so intense and dramatic that it will be like you are shedding your old life (skin) and a new self (skin) will emerge. (This writer likes to add that the basic body under that old skin is always beautiful and the new one with the new skin will be even more so.) As far as your personal characteristics, Snake may mean that you’ve gone through a series of experiences, possibly including death and rebirth, and have gained compassion and wisdom from those experiences. Or it may mean that when you first meet people, you are cool and distant, but once you warm up, you relax and become quite friendly. 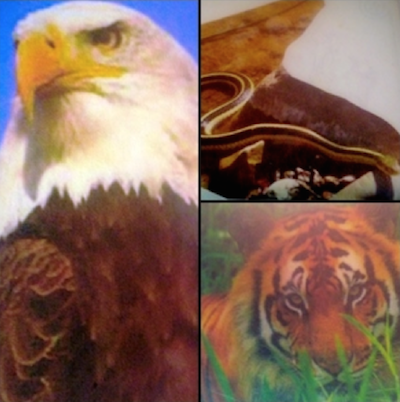 •Tiger: If your Spirit Animal is identified as Tiger, it may be telling you to remain focused and patient and soon there will be a surprise that will help you achieve your goal. Or it may mean that you should be getting ready for a new adventure that may be challenging but will ultimately introduce some changes in your life. As far as your personal characteristics, Tiger may mean that you are naturally clairvoyant or a healer. Or it may be that you are solitary and nocturnal and do your best work at night. •Other Animals: There are many, many more animals that might be your Spirit Animal – small creatures like a butterfly or a frog or huge animals like an elephant. Spirit Animals are many and each will have a specific role to play in your life. How do I find my Spirit Animals? Your current Spirit Animals can be discovered through shamanic practices or by asking a psychic, who may use oracle cards. Spirit Animals may also show up spontaneously in a psychic reading. Once you discover your Spirit Animal(s), it is beneficial to learn how each Spirit Animal can help you in your life. Then after your Spirit Animal has been identified and you know the characteristics, you can feel confident that it will be with you as long as needed and you can call on it for guidance and assistance in all circumstances, whether it be in a romantic relationship, making a business or employment decision or any number of other life situations. You may even want to wear a pendant or other item of jewelery or clothing to let that Spirit Animal know that you are aware of their presence and that you welcome them into your life. Watch for your Spirit Animal – it can appear in many different ways – the real live animal may show up in your life; you may begin to see more pictures of the animal; or you may begin to see associated words. When this happens, welcome and thank the Spirit Animal for helping you in your daily life. This article has been intended to provide helpful information about one of the ways an animal may show up in your Life Reading and in your life in general. The next article in this series will discuss Animal Spirits. This category involves spirits of animals that have been in physical form in this world, transitioned to the other side and, from there, they provide messages and guidance. 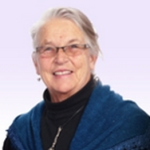 *As a LifeReader psychic, Grace combines her gifts as a psychic medium, animal psychic, healing energy worker, shamana and ordained minister to give readings with a unique perspective. Portions of this article were channeled through her from the Angel of the North. Animal pictures are from her hand-made Grace Cards.